Toward a brand new week. Wishing you a beautiful one. More of the hayfield? Here. 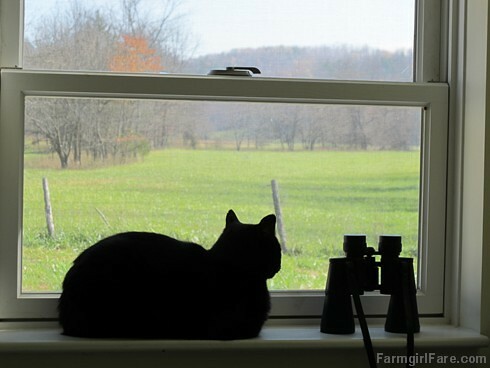 © FarmgirlFare.com, sleek, black, and able to easily see long distances (thanks to the pair of binoculars we keep in the kitchen). It's such a lovely sight out that window - I'd like looking out of it, too. Hope you are all doing well and have a happy week ahead! Ha! I agree with Barb about the binoculars! LOL! !